The BrandBuilders Podcast is moving to a new home! Starting in January, the Dunstan Group will record its popular BrandBuilders Podcast with hosts Scott Dunstan and Brian Young in a new studio built into its headquarters on East Morehead Street near uptown Charlotte. 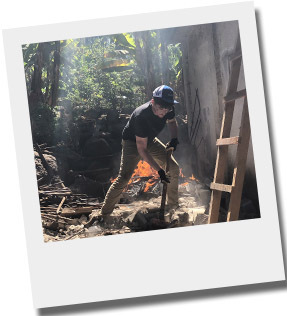 Co-host Brian Young says putting the studio right in the home office takes the community-building mission of BrandBuilders Podcast to a new level. 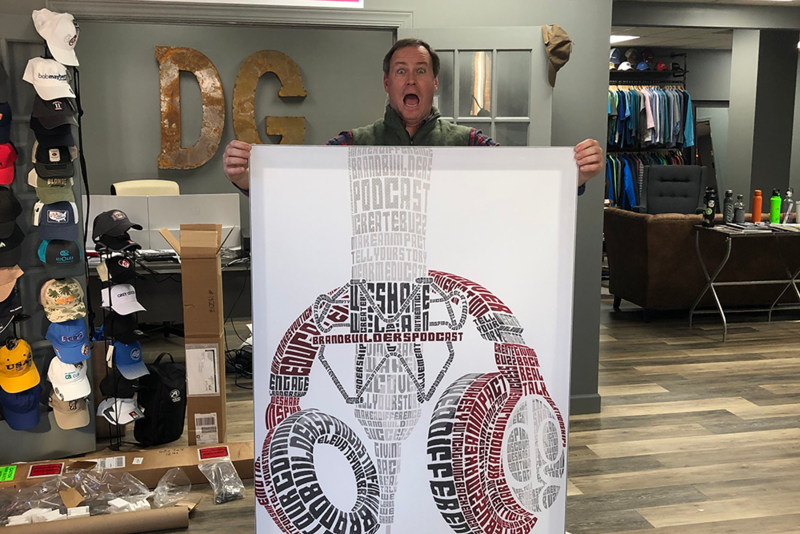 But Young is quick to point out that the BrandBuilders Podcast is about more than business — it’s a way to tell stories about people in the community who have added something special to the world we live in. They’ve taken a risk, started a brand, built a business, and created something no one else has. Each week, guests’ stories of hard work, struggle, failure, and success open our eyes to possibilities in our own lives and neighborhoods. “It’s made our clients, our friends,” says Young. “It’s been a way to break away from daily distractions of our phones, email, and work, and have a one-on-one conversation for a few minutes about what makes an individual or business a special part of our community.” Some of the guests are clients, others are simply interesting people pursuing interesting new ideas, or who have great stories to tell. Young and Dunstan recorded the first BrandBuilders Podcast in August 2017 with their friend Josh Jones, of Jones & Hedges Custom Builders. Josh’s story of building a business in a down economy, then learning his young daughter, Libby, had leukemia, pulled at everyone’s heartstrings and set the tone for the soul of the podcast. Then and since, the conversations have not been all about business — they’ve been about friendships, relationships, and community. An all-new episode of The BrandBuilders Podcast drops each Friday. Episodes can be found athttp://dunstangroup.blubrry.net or anywhere you listen to podcasts. Episode number 76 will be the first to record at the home office of The Dunstan Group at 1200 E. Morehead Street. Like Morehead Street, relationships are a two-way street. This new turn will allow guests of The BrandBuilders Podcast to get a better understanding of The Dunstan Group’s mission — which is not just providing big ideas and branded merchandise and apparel, but building relationships that last. Did you know? One of your favorite name brands can be personalized with your logo, brand name, and colors? You’re probably already a fan of Cutter and Buck, but now there are even more reasons to love this iconic active lifestyle brand. 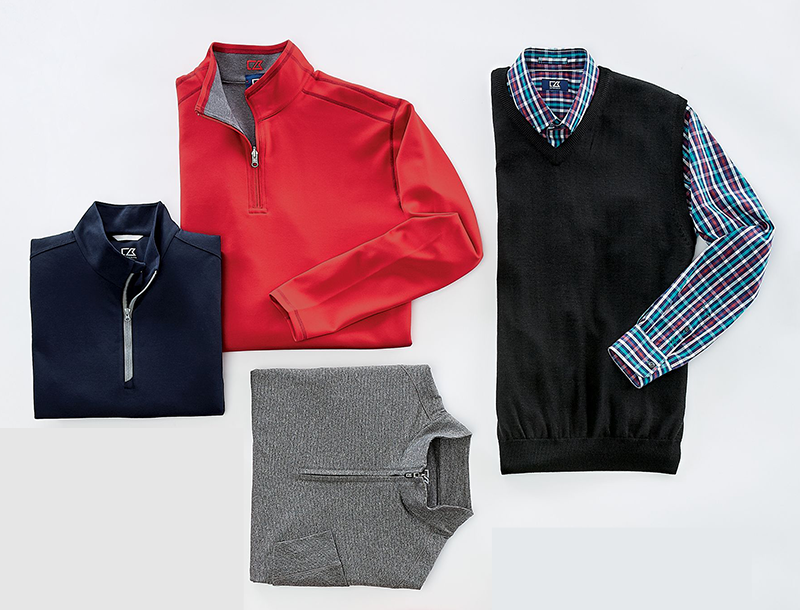 From golf gear to outerwear, shirts, sweaters, and more… the entire catalog of Cutter and Buck is available through The Dunstan Group. In 1990 Cutter and Buck began creating top-quality sportswear for the golf course and other active lifestyle pursuits. Today, they design clothing and outerwear that spans your whole lifestyle – keeping you polished and professional at work, comfortable during downtime and trail-ready even in ever-changing weather like ours. Here in Charlotte, the city buzzes with business of all sorts, a thriving arts and culture scene, pro sports, shopping, and incredible restaurants. And within a short drive, we’re just hours from some of the country’s best beaches, the mountains, and a world of places to discover in between. 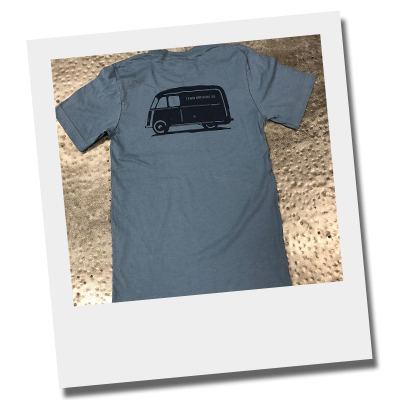 Outfitted in Cutter and Buck from The Dunstan Group, you’ll be ready to roll from the office to out there— wherever “out” is for you. Better still, you can customize Cutter and Buck to outfit your team, your employees, or group to make it your own. Have you seen this yet? The all-new Storm Creek Vest takes “custom” to a whole new level! It all starts with the lightweight, quilted Storm Creek Thermolite vest. Add your brand, logo, or message embroidery to the front, AND a choice of nine color coordinating zipper pulls! Add your own custom heat seal logo to the inside neck for a piece that’s truly “yours!” Low minimum orders and super-quick turnaround times make this one worth a look! Holiday time is a natural for gift-giving. Santa’s list may be a little bit easier to navigate, but have you had a chance to think about yours? Gift giving and list making doesn’t have to be complicated! Here are some of the folks who always make our list here at The Dunstan Group. The connectors. You know who they are. They’re the clients or friends who include you in every networking function, meet-and-greet, or event. And not because they need a wingman. They want you to benefit from the programming, meet new people, and expand your business or personal network. The referral. No form of marketing is more effective than a reference from one client or friend to another. When someone thinks highly enough of the work you do that they’d make a recommendation or referral… well, we think that’s more than enough reason to say, “thanks.” Whether that referral leads to new business or not. The long lost client. Chances are, we’ve all got such a client on our list. Maybe you’ve been working together for so long, the orders are on autopilot. Or, you don’t work together any longer— for whatever reason. There’s no better time to mend fences or renew a relationship than during the holidays. Your biggest fans. They may not be your biggest clients, and may never be. But they’re always the first ones to talk it up about you, your business, and the work you do. You can’t buy honest-to-goodness rabid fans for your brand, but when you’ve got them, let them know you appreciate them. So now you’ve got some ideas for how to make your list. When you’re ready for some great gift ideas, that’s when it’s time to give us a call here at The Dunstan Group. Nothing spans the seasons like a sweater — especially around here. From a fall staple to a winter weather layer and back into spring again, there’s nothing better. And nothing provides long-lasting value like a branded piece that’s used over and over again, right? Here are some new favorites for fall from The Dunstan Group. 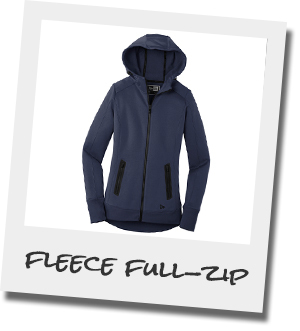 New Era Venue Fleece Full-Zip HoodiePerformance fabrics meet classic styling the New Era Venue Fleece Full-Zip Hoodie. Super-soft polyester fleece with front zipper pockets, thumbholes, and rib knight cuffs and hem to complete the look. 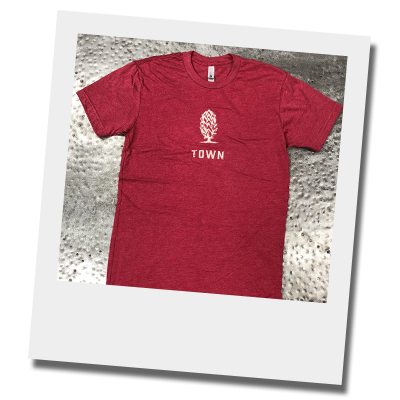 In women’s and men’s sizes and styles. Ladies Stride Colorblock SweaterA modern take on a “go to” for cool weather. 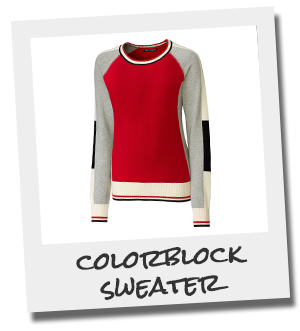 The Ladies Stride Colorblock Sweater is 100% cotton for comfort and 3-season functionality. Bold colors and impeccable fit pair with scoop neck styling, raglan sleeves, and ribbed cuffs and hem for a look that’s clean and confident. Men’s Lakemont V-Neck SweaterCasual Friday never looked this good— same goes for the other six days of the week in the Men’s Lakemont V-Neck Sweater. Mostly cotton for next-to-skin softness, and with just enough stretch to keep its shape wear after wear after wear. Ladies Lakemont Cardigan SweaterWith its jewel neckline, tubular self-trim, and double-layer cuffs and hemline, the Ladies Lakemont Cardigan fits as well as feels. The mostly cotton blend means it’s soft to the touch, with nylon and spandex to maintain that “just right” fit. Port Authority Ladies Concept ShrugEqual parts form and function, the Port Authority Ladies Concept Shrug looks as feels. With a sloping front hem and shawl collar, this sweater is as flattering with a pair of jeans or khakis as it is with a skirt. All this sweater talk has us thinking tailgate parties, s’mores, and fire pits with friends. Give us a call here at The Dunstan Group and let’s talk about your fall branding and marketing opportunities.